Labuan is a special region of Malaysia which addresses mainly to offshore companies and which provides an attractive taxation system, offers several types of banking licenses available for both local and foreign investors who want to establish a bank in this location. Moreover, it is important to know that Labuan companies incorporated by foreigners can have 100% foreign ownership. This means that the investors can have full control over the company’s assets and its investment policies and our team of company incorporation specialists in Malaysia can offer their assistance for the registration of a banking business, which also requires a special license. Investors who are interested in company formation in Labuan can register a banking business if they follow the requirements specified in the Labuan Financial and Securities Act 2010. The Act stipulates the type of activities that can be performed through a Labuan bank, such as credit services, consultancy for investment matters, foreign exchange transactions or investments following the rules of Islam. The main institution which offers banking licenses to Labuan banks is the Labuan Financial Services Authority. In order to establish a bank in Labuan, Malaysia, the investors will have to register the company under the provisions of the Labuan Companies Act 1990 and our team of company incorporation representatives in Malaysia can offer legal advice on the incorporation procedures. • Labuan Investment Bank license. A Labuan Investment Bank license provides similar rights as the Labuan Bank license, with the difference that the banker is not allowed to receive deposits on a bank account, such as a current account or a deposit account. In order to register a bank in Labuan, the businessman should meet several criteria, such as having a good credit rating, awarded by a reputable rating agency. The eligibility criteria are not that complex when it comes for applying for a banking license, but it is good to know that our team of consultants is at your disposal with comprehensive support. The Commercial Banking License in Labuan is issued only for companies dealing with the financial sector as a bank or as a financial institution. A soundtrack record, a good credit rating, and complying with the international banking practices are among the important requirements which need to be respected at the time you wish to apply for a banking license in Labuan. Normally, the Bank for International Settlements imposes the financial practices on an international scale including in Labuan, Malaysia. As soon as the license is obtained, the business can run the banking activities as a Labuan Company or as an International Business Company registered in Malaysia. 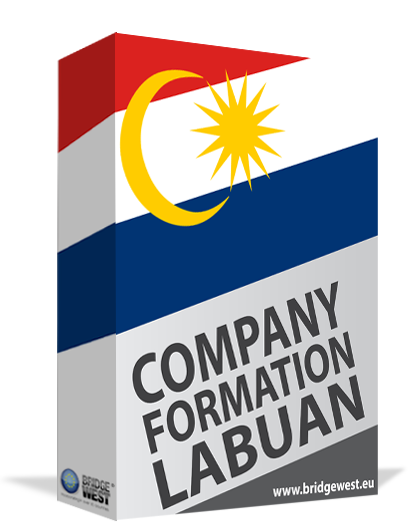 All the requirements in company formation in Malaysia can be explained by our team of representatives in Labuan. As for the operational requirements of a banking license, it is good to know that all the business transactions need to be made directly from Labuan, the company must have a representative office in Malaysia and appoint a director with no criminal record. The Labuan Financial Services and Securities Act 2010 is an important set of laws with applicability in Malaysia in matters of financial institutions. We remind that the entire application procedure for a banking license can be entirely supervised by our company formation specialists in Labuan who can help investors prepare a business plan, act as your representatives in front of the financial authorities and perform due diligence when it comes to the documents for the necessary license. The banking business climate in Malaysia is extremely appealing, however, it is highly recommended to have a certain level of expertise before entering this sector as a foreign investor. It is good to know that the annual fees need to be paid at the beginning of January each year, among which the RM 10,000 for the co-located office, and the banking license fee of RM 100,000. It is important to know that a banking license in Labuan is issued only if a business plan for the first 3 years of activities is presented to the FSA in Labuan, plus a Letter of Guarantee from the applicant’s head office in the foreign country. The Corporate File comprising the name of the company, the address of the establishment and the date of incorporation, the 3-years business plan, the name of each member involved in the firm who holds at least 10% of the shares in the company and information about the qualifications of the owners are important documents which need to be submitted to the FSA in Labuan. The foreign company or the holding company looking to activate in the banking sector will have to provide the audited accounts for three consecutive years of business. Moreover, the Board’s resolution to apply for the license plus the Articles of Association are also necessary documents to be submitted to the FSA in Labuan. We are at your disposal with assistance if you would like to apply and obtain the banking license in Labuan. What are the advantages of a banking business in Labuan? Having 100% ownership in the firm is the important benefit when it comes to opening a business in the banking sector in Malaysia. Foreign investors choose Labuan, a significant offshore jurisdiction in Malaysia due to the business stability met in Pacific Asia, the great infrastructure and the ease of doing business through Labuan IBC. The corporate tax of 3%, the recognition by Hong Kong and Singapore Exchanges for listing, and complete security in terms of the avoidance of the double taxation are also significant advantages which are highly considered by that kind of investors interested in opening a bank or a financial institution in Malaysia. The minimal annual license fee of RM 100,000, no withholding tax and no tax imposed on the director’s fee will weigh much at the time a foreign entrepreneur decides for a company in Malaysia. We invite you to discover the ways in which our consultants in Labuan can help and assist foreigners wanting to set up an offshore in Labuan, open a Labuan trust company or apply for the necessary licenses and permits. Also, we can represent your company in Malaysia, including in Labuan, and we can act on your behalf with the help of a power of attorney. Businessmen interested in receiving more details on the banking licenses available in Labuan are invited to contact our team of company formation consultants in Malaysia.